Have you been to Corsica? No? Then get there fast: National Geographic Traveler Magazine recently put Corsica in the no. 1 spot out of its top 20 chosen destinations for 2015. I’m not surprised. The island has everything: a wonderful landscape with azure seas, jagged mountains and perched hilltop villages, a fascinating culture and a turbulent history. I am so captivated by the “Island of Beauty” and its history that I set my historical novel The House at Zaronza there. The savage but beautiful landscape of Corsica has enchanted many a writer and artist. Edward Lear, James Boswell, Prosper Mérimée and Guy de Maupassant, to name but a few, immortalised the island in pictures and prose. The House at Zaronza is based on a true story that we discovered when we visited (for the 4th time!) in 2012. It involves secret love letters written by a village schoolmaster to a young woman from a bourgeois family. The book follows the fortunes of Maria (as I name the young woman) from the early 20th century up to World War I and beyond. Setting has always been very important to me, both as a reader and as a writer of fiction. Although novels are about people, of course, those characters are also the product of their environment. It influences their actions whether they like it or not. In The House at Zaronza, Maria is greatly attached to her native Corsica and especially to her village. But life’s disappointments and the desire to make herself useful incite her go to nurse on the Western Front during World War I. She is changed by the experience, but never abandons her love of Corsica or vanquishes her homesickness. 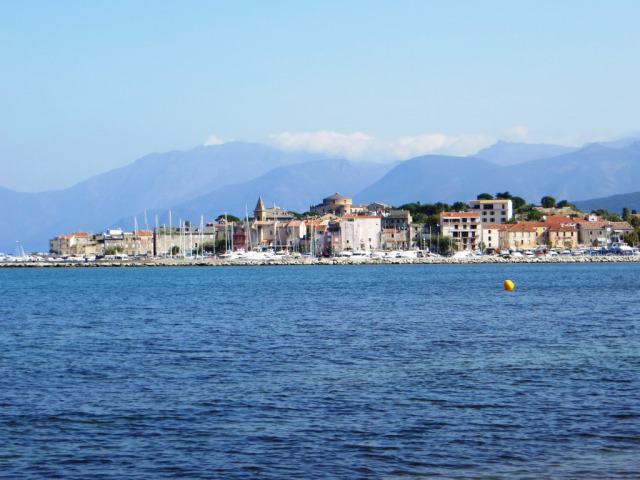 Corsica is almost a character in itself in the novel. Copyright © Vanessa Couchman 2014. All rights reserved. This entry was posted in Corsica, Fiction, Novels and tagged Corsica, Dorothy Carrington, fiction, historical novel, National Geographic Traveler Magazine, Novel, setting in fiction, The House at Zaronza, World War I by nessafrance. Bookmark the permalink.